This cottage is part of a cosy holiday complex, consisting of four other houses and is located in the beautiful village of Bryastovets, midway between the Sunny Beach and the Burgas Airport. 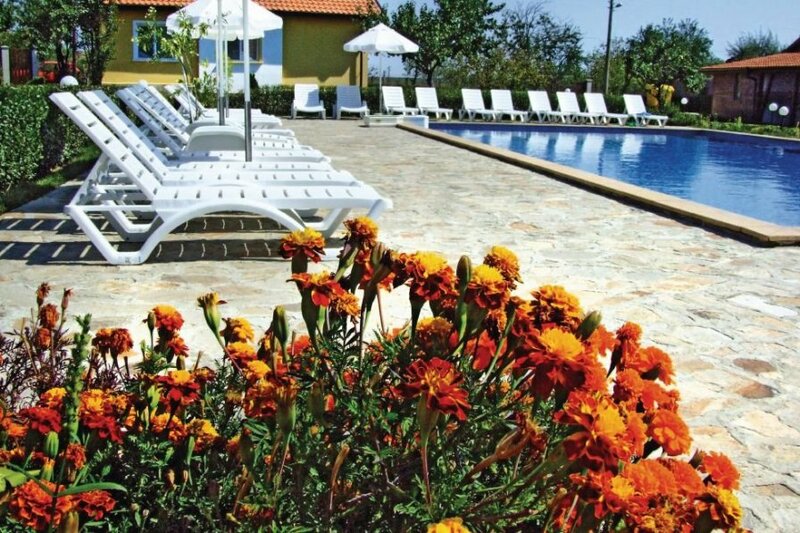 This cottage is part of a cosy holiday complex, consisting of four other houses and is located in the beautiful village of Bryastovets, midway between the Sunny Beach and the Burgas Airport. The village is nestled in a quiet, picturesque location and offers an ideal setting for a relaxing holiday. The small village has a grocery store, a few small bars and restaurants offering traditional cuisine. Within a radius of 20 km, Bulgaria offers long sandy beaches, water parks, supermarkets, restaurants, museums, discotheques, hospitals and more. The lovingly decorated outdoor area has a shared, refreshing pool with sun loungers and parasols. The house is friendly and comfortably furnished. The bedrooms are furnished in bright colours and you can enjoy holiday cooking in the well-equipped kitchen. This is a perfect holiday home not only for families with children, but also for young and enterprising guests.